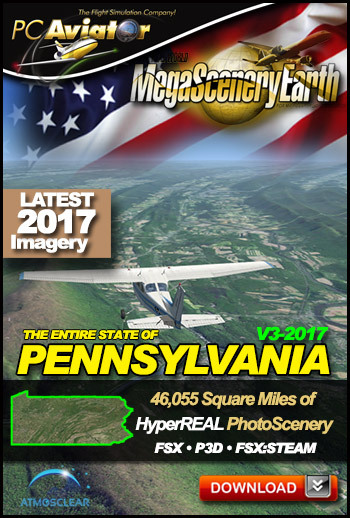 We've just upgraded Pennsylvania V3 with the latest 2017 imagery. Owners of the original Version 3 can upgrade at a 75% discount. Pay just $9.95. Owners of Version 2 can upgrade at 50% discount. Please check the download link associated with your previous PA order for the upgrade coupon code. Click on box below for more information on this title.